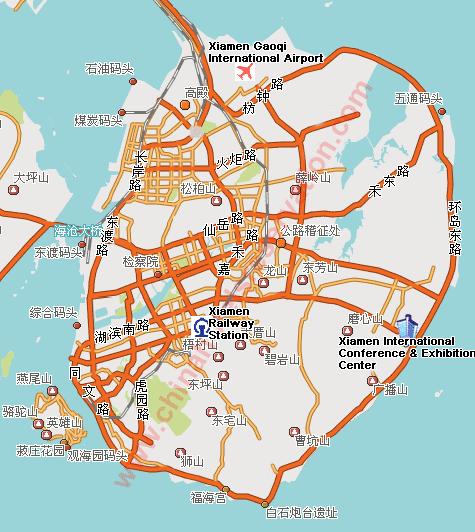 The Xiamen Gaoqi International Airport, the Xiamen International Conference and Exhibition Center, the Xiamen Railway Station: control the location of hotel that you will choose. The resorts are indicated with little images: with clicking, you can know all details of arrangement. Including prices and pictures.